← What is Re-reduce in MongoDB Map-Reduce? While I was trying to install Ubuntu 12.04 on Windows 7 64-bit OS using VMware player 5, I found this post very useful. However In my case, I had to follow 2 additional steps which are not listed there. 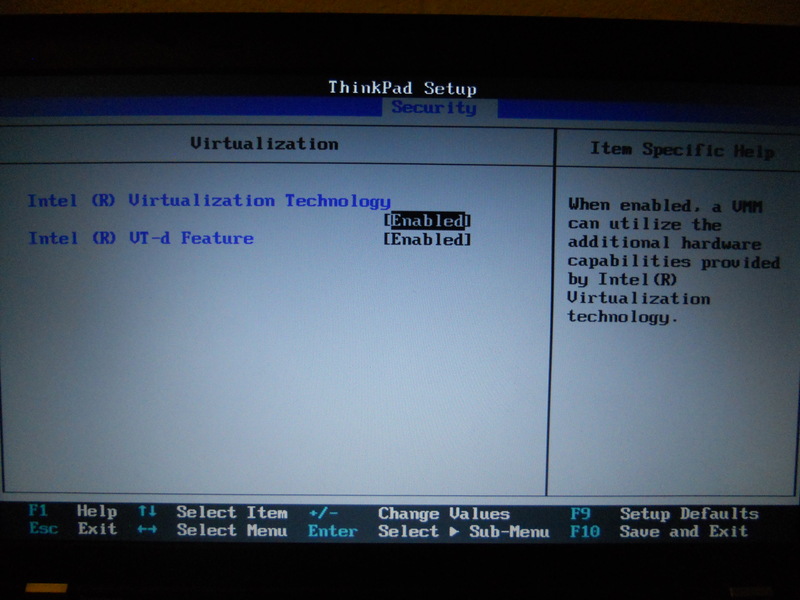 Enable virtualization on you computer through your BIOS settings. Following image shows how to do it on a Think Pad. If you won’t get the Ubuntu GUI and if you will be prompted to the command line, use the following command to start the GUI. One more thing that I noticed is, Ubuntu 12.04 Server version is not working on this setup. You can use only the Desktop version. I also recommend you to watch this ubuntu installation video.